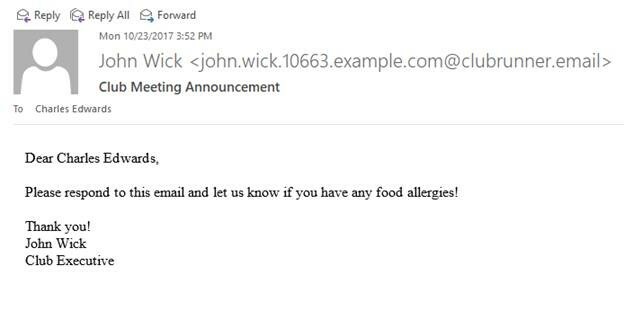 Here we can see that it was John who sent us the email. ClubRunner tells email programs who the reply email should go to. Clicking reply should allow the email to be sent back to the sender properly. 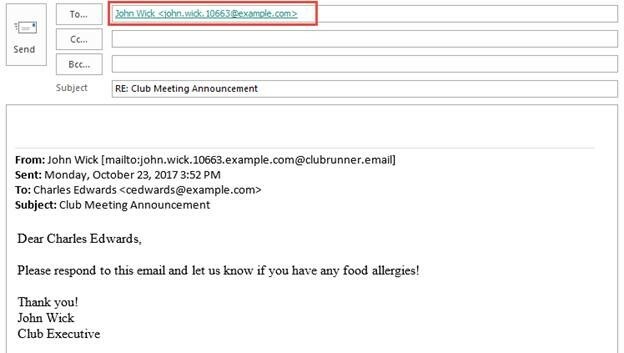 If the email shows up as the @clubrunner.email address, you should change it manually. If you know their email address, type it in correctly to allow your response to be sent properly. ClubRunner Member Search: Use your Club’s website member search to locate their contact information. ClubRunner District Member Search: Use your District’s website member search to locate their contact information. ClubRunner Mobile App: Use the app to find the individuals contact information. Where can I find the Club Directory?